Antarctic fur seal (right), Weddell seal (left), Penguin Island, South Shetland Islands, Antarctica. 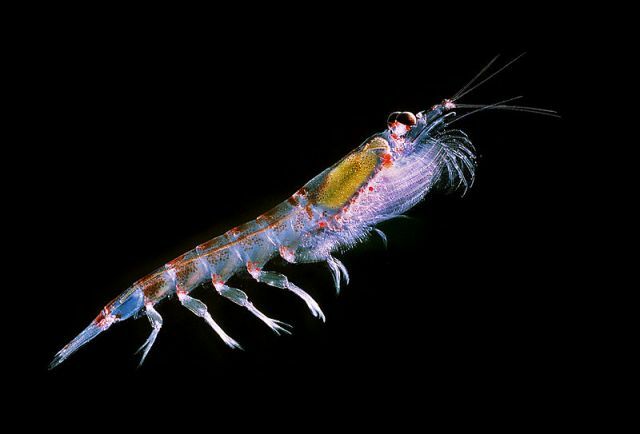 : Credit: © Julia Whitty.How do you assess the health of a marine invertebrate—namely Antarctic krill—when there’s no historical baseline to measure it against? In an intriguing piece of detective work reported in PLoS ONE a team of researchers from China and the US turned to analyzing old seal hairs to determine changes in abundance of krill in the past century. 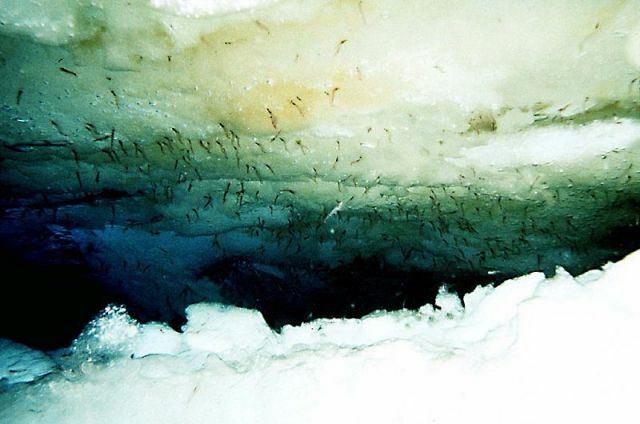 Antarctic krill. : Credit: Uwe Kils via Wikimedia Commons. Antarctic krill, Euphausia superba, is a keystone species in the Southern Ocean and the primary consumer in a foodweb supporting fish, penguins, seabirds, seals, and whales. They school in swarms of up to of 30,000 individuals per cubic meter and are perhaps the most abundant animal on Earth, with a total biomass estimated at ~379 million metric tons. In the video below (starting at 00:01), you can see humpback whales bubble feeding on krill in Antarctic waters. There’s evidence of a decline in krill biomass in parts of Antarctica in the past 30 years—but when did it begin? 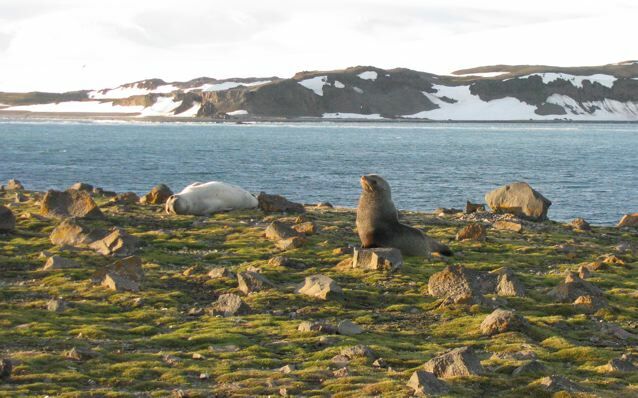 Since Antarctic fur seals feed preferentially on krill, the variation of [nitrogen] in seal hair indicates a change in the proportion of krill in the seal’s diets and thus the krill availability in local seawater. In this region for the past decades, the sea ice shows a decline trend, and this is in coincidence with the decline trend in krill populations. Like the seal [nitrogen] values, the sea surface temperature (SST) anomaly in Southern Ocean (50°S) also shows an obvious increasing trend for the 20th century, and the significant correlation between them… suggests that the inferred decreasing krill population is linked with warming ocean and declining sea ice extent. Huang T, Sun L, Stark J, Wang Y, Cheng Z, et al. Relative Changes in Krill Abundance Inferred from Antarctic Fur Seal. PLoS ONE. 2011. DOI:10.1371/journal.pone.0027331.